How to run java applets on a local webpage? 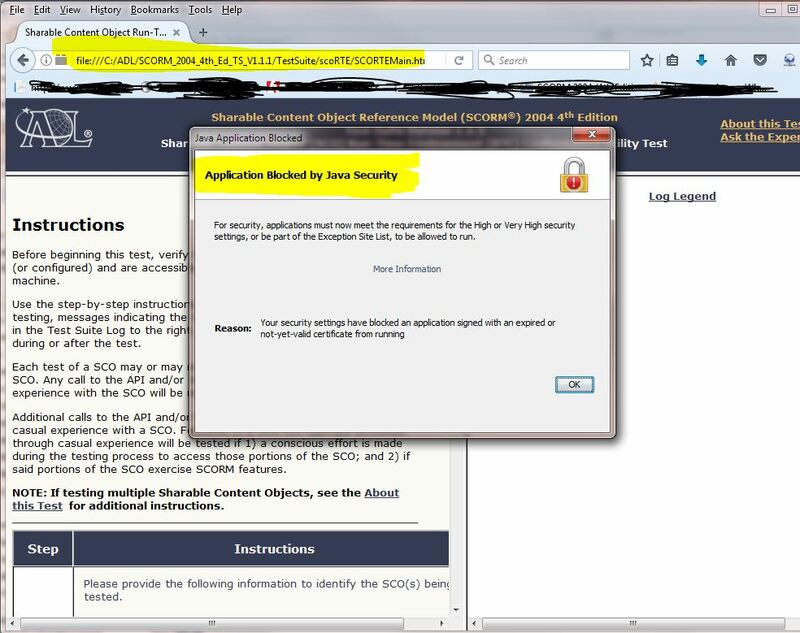 The problem is that the Java Control Panel only allows "Very High" or "High Security," and does not allow file references in the Exception Site List. Does anybody know how am I supposed to get Java Applets to work locally? Browse other questions tagged security browser or ask your own question. 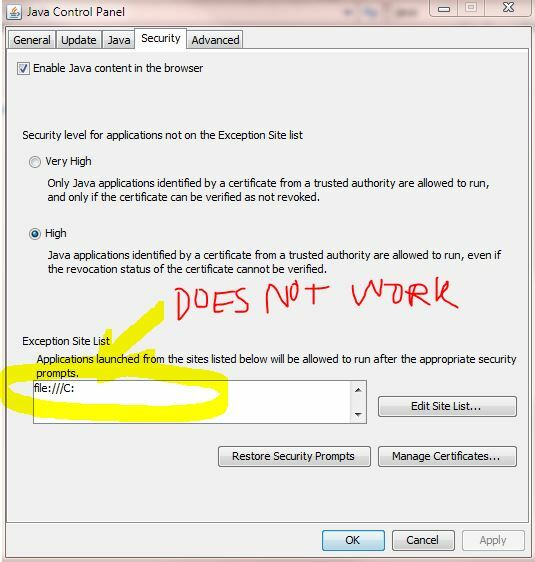 Java Plugin a huge security risk? How to preseve Java plugin from privilege escalation?